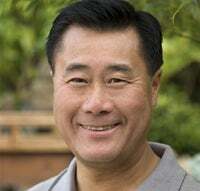 Cali Senator Discusses Interactive Violence, ESRB "Conflict of Interest"
You may know California Senator Leland Yee (D-San Francisco/San Mateo) as one of the most ardent critics in politics of violence in video games. A bill he authored intended to legislate the sale of violent video games in his state was recently ruled unconstitutional in federal court, and Yee, along with Gov. Schwarzenegger, are currently appealing the decision. He also urged the FTC to investigate the ESRB in the wake of the Manhunt 2 ratings controversy, and regularly speaks out against video games he believes are "ultra-violent." LY: Well, the bill that we had, that was signed into law, is a bill that deals with interactive violent video games. It's not just any violent video game - it is the interactive nature of these violent video games that are particularly harmful to our children. This is where literally, youngsters are sitting with their computer and pushing buttons not hundred s of times, but thousands - hundreds of thousands of times, whereby their action is coordinated with what happens to a human being, what happens to an individual. So pushing a button will then decapitate someone. Pushing a button will hack of a limb of a particular individual, burn some individual. It is this interactive nature that connects your behavior to a particular consequence that is particularly horrific. think there's two major problems with the ESRB (the rating board): one is that there is a conflict of interest. The money that is used to sustain their particular activity is paid by the industry — the industry that that board is supposedly trying to regulate. So long as you have that conflict of interest, there's no way that anyone's going to believe that these rating scores are going to be objective. Number two, the ratings are not valid; because the way in which you determine those ratings is that you get a snippet of these particular video games. The industry will provide you with some of the information that causes one to rate in a particular way. So, getting the information from the industry; number two, not being able to look at all the content, the rating system is a flawed and an invalid system. It is those two reasons that I don't believe that the ESRB is accurate for our parents to make some informed decisions about whether or not these games are appropriate for kids.